Electronic and Mechanical Sub-Contract ManufacturersProviding electronic and mechanical sub-contract services to the manufacturing industry from our workshop in Bedfordshire. Cable AssemblyFrom wire cutting, stripping, tinning, crimping, terminating, identifying, bunching, forming, routing, looming and even lacing, we’ve done it all over the past 20 years. 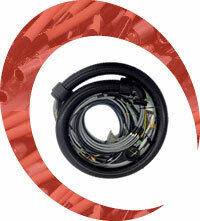 CableTronics - Electronic and Mechanical Sub-Contract Manufacturers in Bedfordshire. We are an electromechanical engineering company, who provide electronic and mechanical sub-contract services to the manufacturing industry from our workshop in Biggleswade, Bedfordshire. 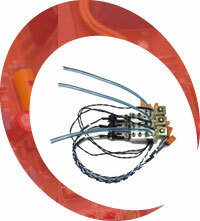 Our areas of expertise are bespoke cable assemblies, product manufacture, panel building and PCB population. High-quality, competitively-priced wiring looms, umbilical/conduit, bespoke and custom cable assemblies delivered on time, every time, to your exact requirements. Electronic and mechanical product, system and box build by skilled technicians, who have both the expertise and experience to build, document and feed back any recommend improvements. Chassis, panel, cabinet or rack machining, construction, population and wiring. Units that are tidy, built to recognised standards and ready for immediate integration or customer use. 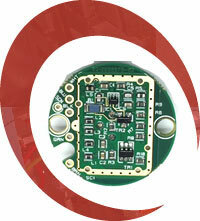 Small to medium volume PCB population, using automated surface mount equipment or conventional hand soldiering. All populated in house by our IPC trained staff. Electronic and mechanical sub-assembly and prototype builds varying in size, quantity and sophistication from sketches, models or CAD drawings. 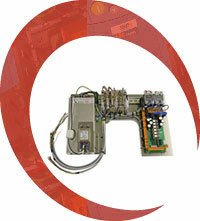 CableTronics was formed in 1994, and is based in a business unit in Biggleswade, Bedfordshire. We have consistently grown to become one of the best cable, box build, electronic and mechanical product, panel and PCB assemblers and manufacturers in Bedfordshire and the Home Counties. We concentrate purely on manufacturing bespoke and custom cable assemblies, electronic and mechanical products, box building, panel wiring and PCB population, using highly-trained IPC qualified engineers, with goods delivered by our own transport from our workshop in Biggleswade, Bedfordshire. This means that you pay ONLY for time spent at the bench rather than expensive support, office and administration staff. This keeps our prices low, our quality high and our deliveries always on time. Our factory allows for the efficient manufacture of very large cable umbilicals, while another is best suited to undertake small and complex wiring looms and other specialist electrical assemblies. Also, as you would expect from a company of CableTronics’ standing, we have an array of cable cutting, stripping and crimping machinery for cable assembly. Furthermore, we have hundreds of hand tools for the manufacture of specialist bespoke and custom cable looms, in addition to a large array of specialist machine tools and test and inspection equipment for product assembly, box building and panel construction. Not forgetting our fully automated SMD assembly line for both surface mount and conventional PCB population. We also carry a large stock of raw materials that enable a fast response to meet our customer requirements for any urgent cable, product and panel requirements. We encourage customers looking for a contract electronics manufacturer specialising in cable assemblies, wiring looms, harness, box building, panel wiring and PCB population to visit our manufacturing facility and workshop in Biggleswade, Bedfordshire, at any time. I was especially impressed with the flexibility of your workforce, who quickly got to grips with the complex task we had set. 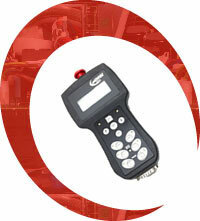 The quality of work was extremely high and deliveries of completed instruments were on schedule. We look forward to extending our partnership in the future in the knowledge that Cabletronics will continue to be a key part of our overall supply chain strategy over the coming years. I would strongly recommend Cabletronics to any other company looking for a reliable, cost effective and quality driven supplier of Cable Harnesses or Electronic and Mechanical rework facilities. Our workshop has been set up in a way that enables CableTronics to produce a wide variety of wiring harnesses, electronic and mechanical products, box builds, panel assemblies and PCBs. As you would expect from a leading contract electronics manufacturer that provides custom and bespoke cable assemblies, carries out electronic and mechanical product and box build, constructs and wires panels and populates PCBs from our workshop and manufacturing facility in Bedfordshire, all our processes and standards are recognised with ISO 9001 accrediation and are built by IPC trained staff.